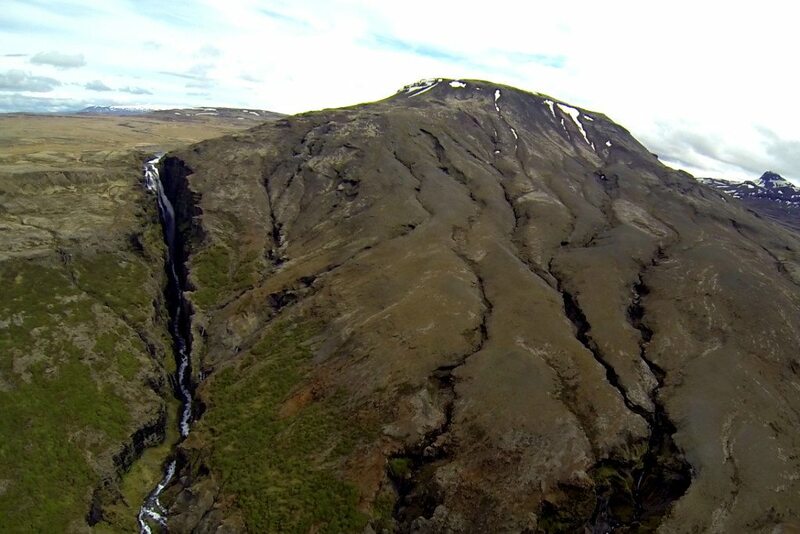 Glymur is the second tallest waterfall in Iceland at 198 meters high, surrounded by beautiful looming cliffs. It’s located deep in the fjord Hvalfjörður on the west side of Iceland. The waterfall sits within a canyon, surrounded in bright green moss during the summer, and snow covered ice in the winter. No matter the time of year, this is truly a sight to see. In the summertime it is popular to hike up to the top of the waterfall, but if you do not have the time or means, we can overfly this beautiful area with you in a helicopter on our Waterfalls and Valleys tour and our Fire and Ice tour!